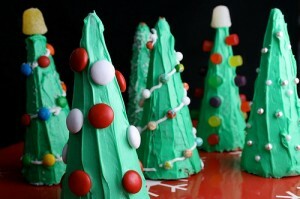 For Day 5 of our advent calendar we made Christmas trees using sugar cones, green frosting, and assorted candies. 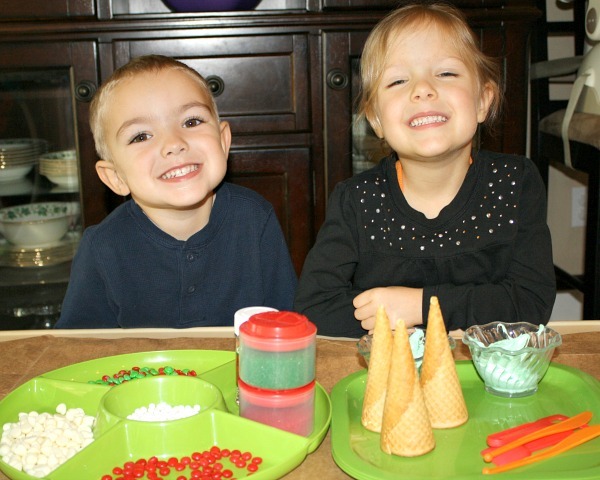 I simply put all of the items out and let the kids decorate as long as they wanted. 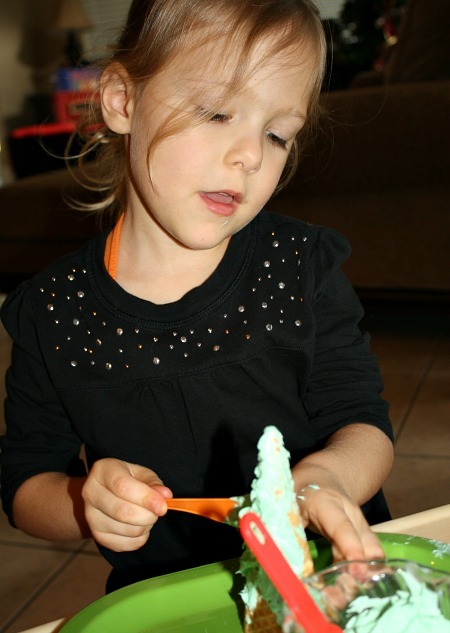 It was messy, but not near as messy as I anticipated. And they were SO happy with their creations! I don’t think I have ever gotten them to smile at the same time this quickly. They were very eager to get started. 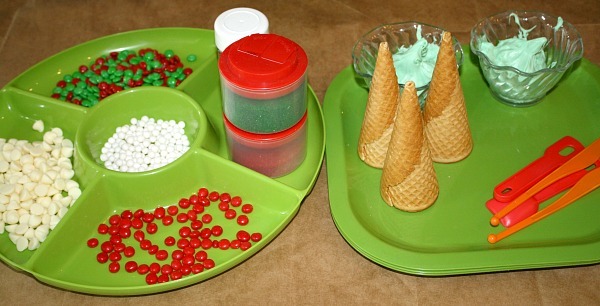 We started by letting the kids try to frost their own cones. 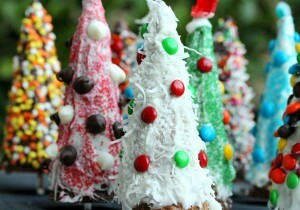 We quickly realized it took a lot of frosting to cover those cones. When they tired of it and asked for help, I helped them finish covering the cones. 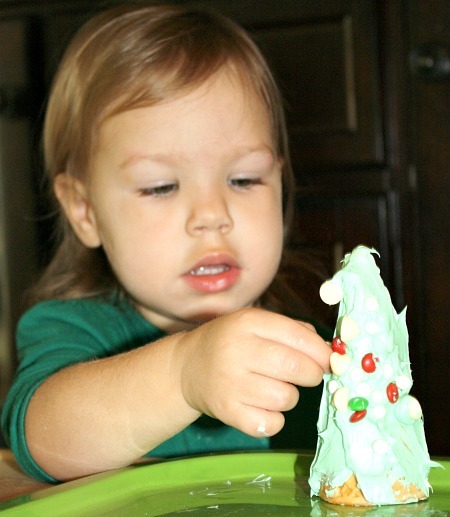 They spent a lot of time placing their decorations ever so carefully, and they all asked for a second cone when they finished the first. 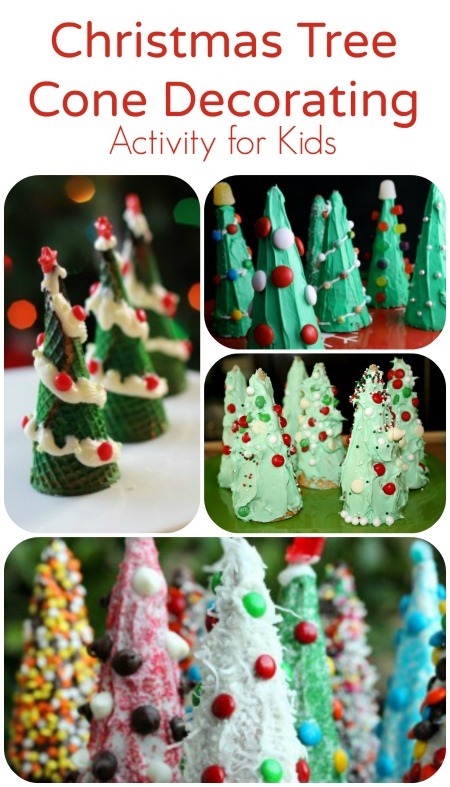 Their Christmas tree forest was beautiful when they finished! 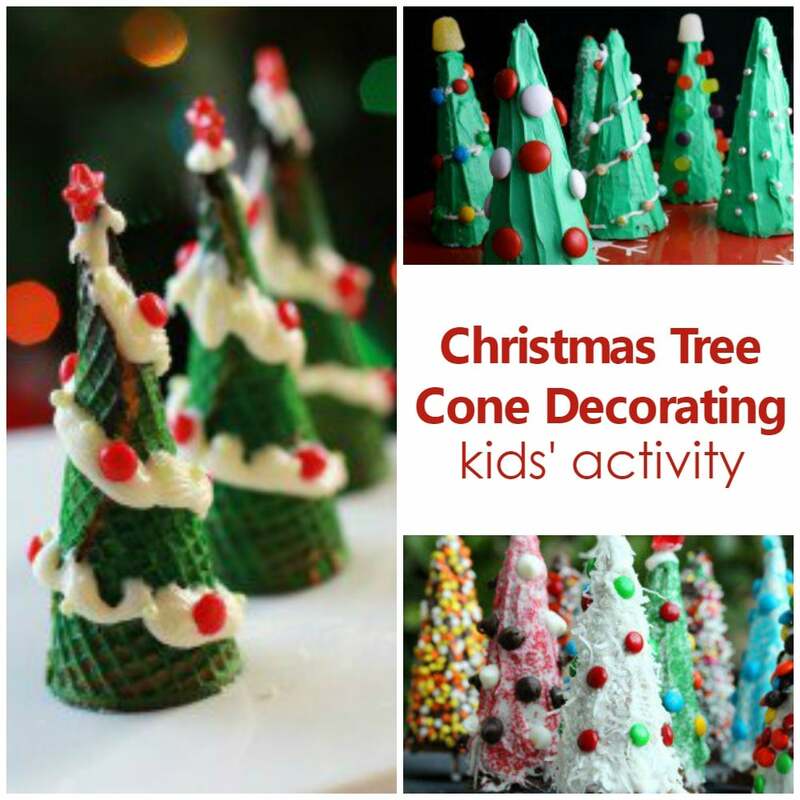 After you’re done with your Christmas tree cone decorating, share a story together while kids enjoy eating their creations. 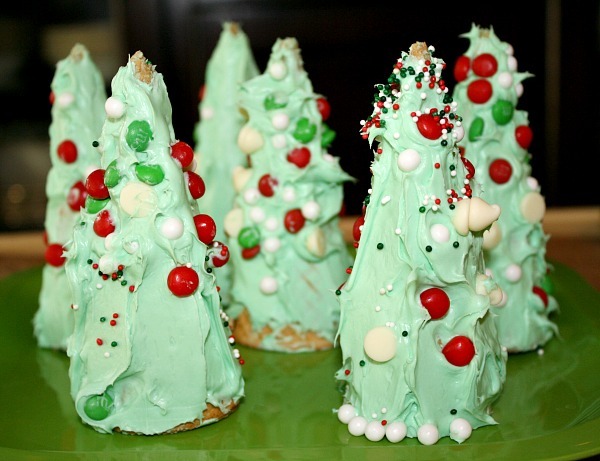 These are some of our favorite stories about Christmas trees. 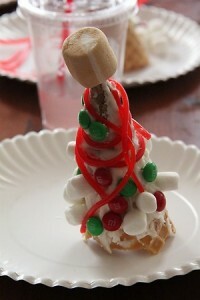 Here are some more ideas for decorating Christmas tree cones from other sites. There are lots of great options. 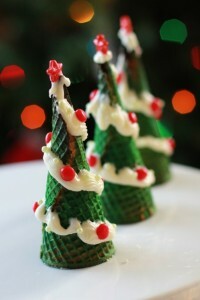 Next year I will probably make sure we have more variety in our frosting choices and decorative candies. 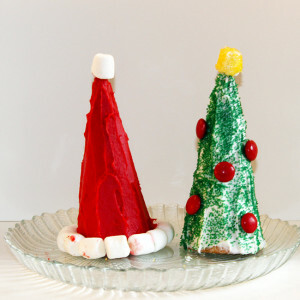 Do you have any other suggestions for decorating these sugar cone Christmas trees? 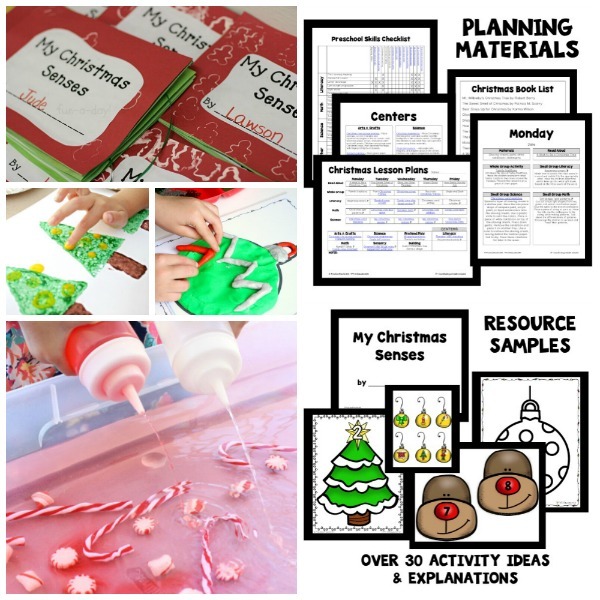 Have you ever made them with your kids?